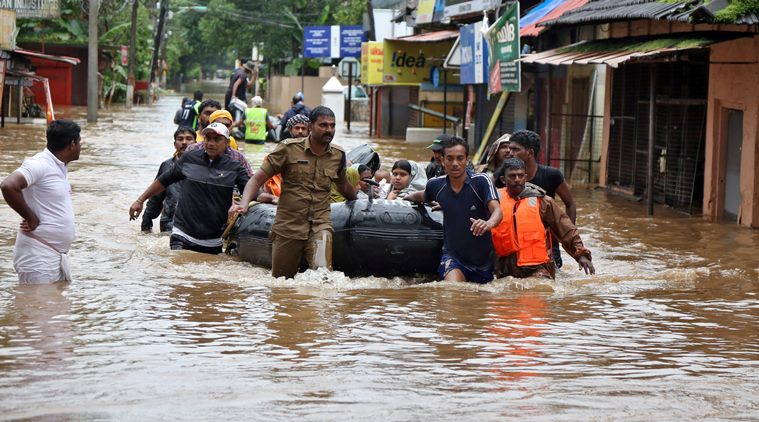 Disaster struck Kerala in August 2018 in the form of heavy rains, which created floods and landslides causing unprecedented damage to the people, property and ecology. The tragedy struck Kerala just prior to Onam festival to welcome the mythological king of Kerala – Mahabali. I am reminded of the Onam song ‘മാവേലി നാട് വാണീടും കാലം, മനുഷ്യരെല്ലാരും ഒന്നു പോലെ’ (When Mahabali ruled, the people where all together). When the tragedy struck causing havoc to human life, the people of Kerala, irrespective of their faith or religion came together to save fellow humans. What are the lessons to be learnt from the way this tragedy was handles at all levels – from federal government to the local village administration to the last man standing. Youth Power. The youth of Kerala were the first to emerge and organise themselves into small groups and bring succour to those affected. They forgot their well known political rivalries and united to show that they can surmount any tragedies. Girls and boys – all put their hands on deck, working day and night – to organise rescue and relief. Political Strength. The ruling coalition and the opposition – all came together to work with a single aim to bring succour to the flood affected people of Kerala. The strength of the grass-root organs of all political parties showed their mettle in bringing relief to the people. Only one political party and its various outfits did not play their part and they have been ‘trolled out’ in the social media. Religious Organisation. Various religious organisations and institutions opened their gates to accommodate all those displaced by the tragedy. Muslims were reported to be cleaning Hindu temples and Christians taking shelter in temples and mosques – the list is endless. In effect – Gods (with their Godmen) were submerged – Humanity emerged. Supermen Fishermen. 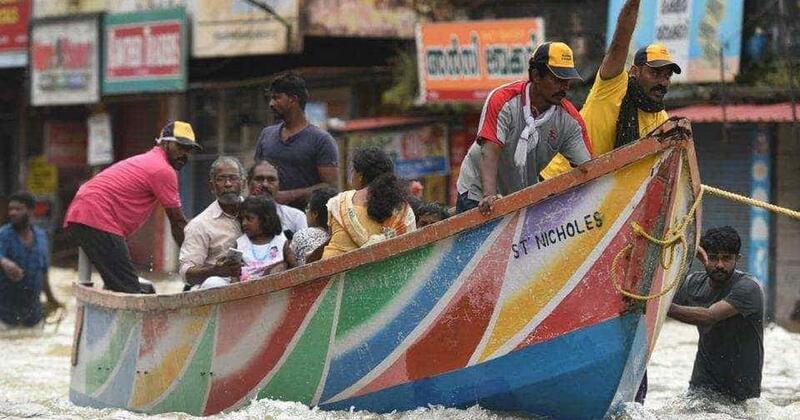 The role played by the fishermen of Kerala in rescuing the people – especially in the hilly areas where they would have never dreamt of taking their boats – would be etched in gold in Kerala’s history. They were poor fishermen, who left their families near the seashore and ventured inland to save their brethren without caring for their personal safety and without even asking for any compensation for their loss of livelihood and damage to their boats. State Machinery. Unlike what was seen in other Indian states, the state machinery from Members of Parliament, Members of Legislative Assembly, District Collectors – all were out in full force to help the victims. Some of them were seen physically handling rescued persons and rescue materials. The role played by two women District Collectors – Ms TV Anupama, in-charge of Thrissur, and Ms K Vasuki, in-charge of Thiruvananthapuram – needs a special mention. 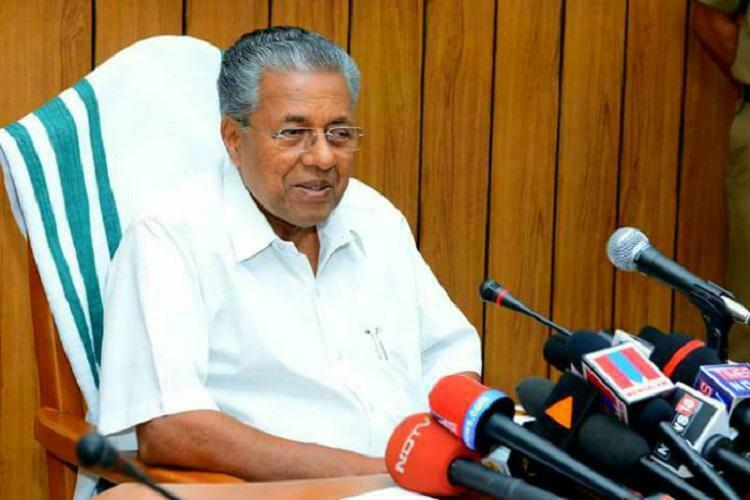 The leadership of the Chief Minister Mr Pinarayi Vijayan proved that he is a man with a vision and a good leader by maintaining a cool head and providing necessary instructions in ensuring that no stone was left unturned in providing relief to the flood affected. It is no wonder that he is nicknamed ഇരട്ട-ചങ്കൻ (Iratta-Chankan) meaning man with double hearts. Local Government. Kerala state has a well established local government at City/ Town/ Village levels. They were the first to organise rescue efforts without awaiting any orders from the top. They worked in tandem with the Armed Forces, National Disaster Management Force (NDRF). Kerala Police, Fire Force and various other agencies. They provided helpful terrain and water-flow information to the rescue teams, provided guides and all other possible assistance. Role of Media. The Malyalam media played their part well in informing people about the floods, passing information about people stranded at various places and rescue efforts in progress. National English and Hindi media might not have had adequate interest in Kerala, but after a few days they also pitched in. 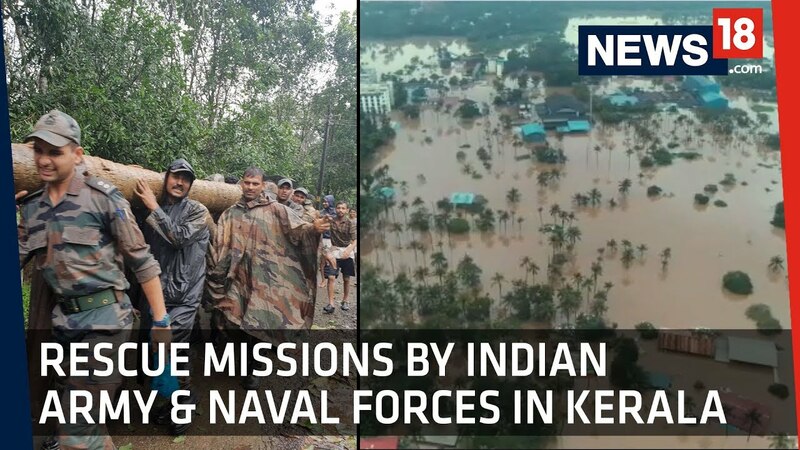 It is pertinent to mention here that in the early days of the flood, various international media houses gave more airtime to cover floods in Kerala than the Indian English and Hindi channels. Social Media. The social media had a very positive impact on the rescue missions being undertaken. Victims could communicate with the rescue teams and people outside and was of immense help. The social media ensured connectivity with the world community, especially with many Keralites working or settled abroad, wishing to know the status of their near and dear ones. There were a few cases of rumour mongering reported and the state police has already registered cases to deal with them. Federal Government. The role played by the Central Government calls for some retrospection. When monetary and material aid started flowing from many countries with sizeable Keralite work force, the Central Government refused to accept it. The Central Government initially granted 100 Crore which was later revised to 500 Crore – a tiny portion of the money needed for rehabilitation of the flood affected. The Union Food Minister wanted the state to pay for the food grains released, but later, succumbing to the pressures of Kerala’s political leadership, the decision was reversed. It might be the first time in Indian history that various persons and business houses and many state governments and organisations have donated much more than the money given by the Central Government for disaster rehabilitation. Is it all because the ruling party has hardly any presence in the state? 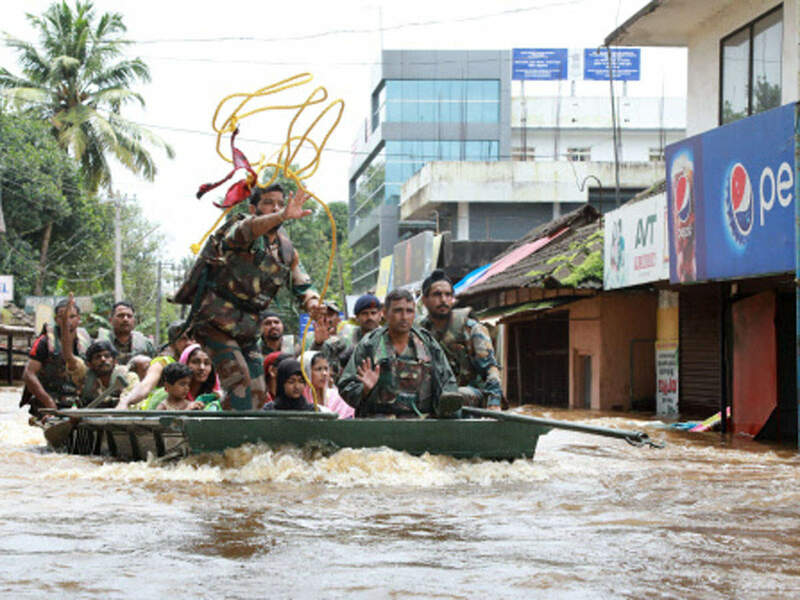 The HEROES are the people of Kerala. I am very happy that things were managed nicely and people rose to the occasion…hope for quick stability and well being of everyone affected by this disaster. 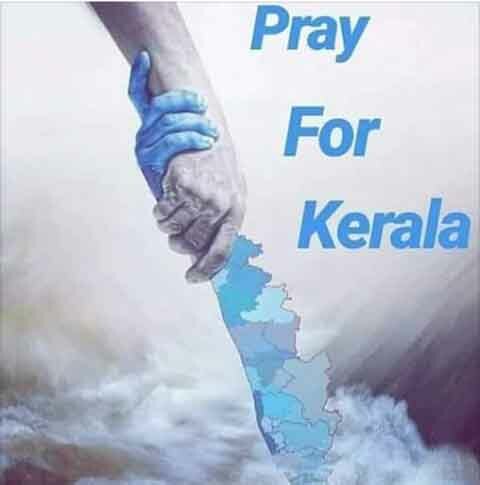 You have covered all aspects so nicely and no doubt people of kerala deserves kudos for helping out each other irrespective of any caste colour or religion .A truly inspiring story of Keralites in times of disaster of such magnitude.salute to Keralites . Reji well written. In times of emergency all Indians get together but otherwise at each other’s throat. Can the people, netas & pundits of all hues learn a lesson here ? It is high time we do so. Don’t agree fully with you as I feel the article is highly inclined towards left. Lot of good things happened but left sponsored social media and left wing news media was trying to tarnish the majority religion for no reasons. RSS had done a very good job -even though some of their leaders made stupid comments. Their involvement is much more than the other 2 communities in Kerala. Our religious community is notorious for making some gains from every disaster and that is seen now also. None of our clargies ( may be few exceptions) were seen actively participating in the rescue operations. Now they are out for collection under the pretext of supporting the flood victims. Same way very few ministers / MPs / MLAs actively participated in the rescue operations. Some of the ministers had gone to Europe for tourism & flood relief operations!!!! As you said the youth had done a marvelous job. Al least some one in the country have the courage to refuse the “help money” offered by other nations. Even at the time of Kargil war India had not gone around begging for help. In spite of all the short comings we proved no religion or cast cant divide us.